Evelyn Hofer, “Mildred Bliss in Her Garden Library,” 1965. At the conclusion of the Second World War, Mildred Bliss resolved to save books on garden design from possible dismemberment. During the chaos of the war and the turmoil of the years that followed, private libraries and the exceptional volumes within them found their survival threatened. Many book collections were dismantled, putting rare books in the hands of dealers who often cared more about the generation of profit than about book preservation. Books on landscape architecture and garden design containing illustrations were especially vulnerable, as dealers typically found it more profitable to dismantle the books and sell the plates individually. It was partly from this concern that the Garden Library Rare Book Collection was born. As it grew in both number and importance, Mildred Bliss hoped that this collection of books on horticulture and landscape architecture would allow for the expansion of research at Dumbarton Oaks in the field of garden design. 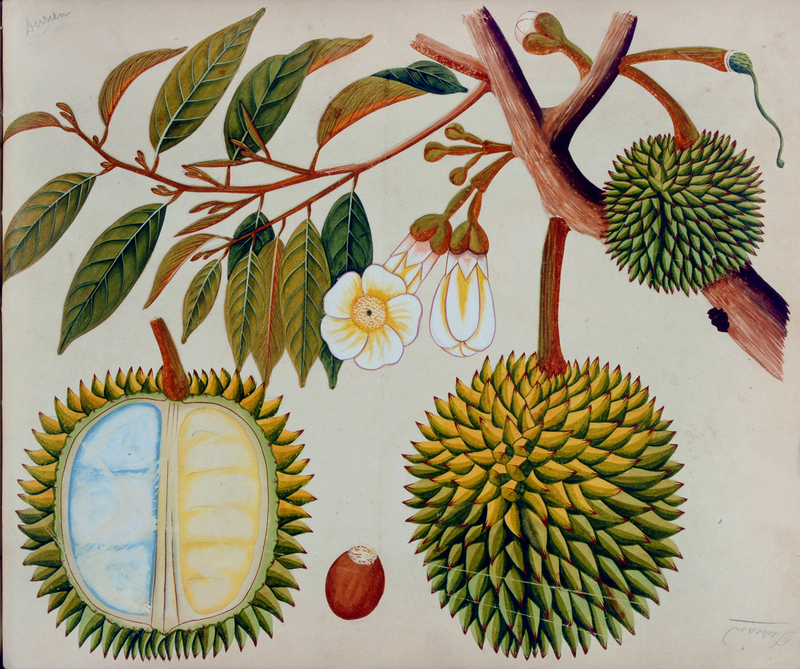 Durian, from an album of watercolors of Asian fruits and flowers, ca. 1798–1810. Dumbarton Oaks Rare Book Collection. Mildred Bliss’s bibliophilic interests had emerged already when she was a teenager. She routinely consulted experienced French booksellers, whom she petitioned for advice on acquisitions. According to Ethel Clark, longtime friend of the Blisses and keeper of rare books at Dumbarton Oaks, the early formation of Mildred Bliss’s collection was “not dictated by a frivolous or limited vision.” Many of her early acquisitions were impressive—many were rare first editions, featured superb bindings, or were holographic manuscripts—and they would become the nucleus of the impressive assortment of rare materials currently in the collection. In order to streamline the process of acquiring books for the collection, Mildred Bliss penned an itemized list of rare books that she wanted, referred to as her “desiderata.” Routinely revised and updated as volumes were acquired, this list was distributed to dealers internationally. Carefully chosen for their “insight into the field,” the books sought would become the basis of the emerging library, which by the late 1940s numbered some nine hundred volumes and two thousand botanical prints. The Garden Library Rare Book Collection was originally housed in the Dumbarton Oaks living room, renamed the Founders Room in 1948. 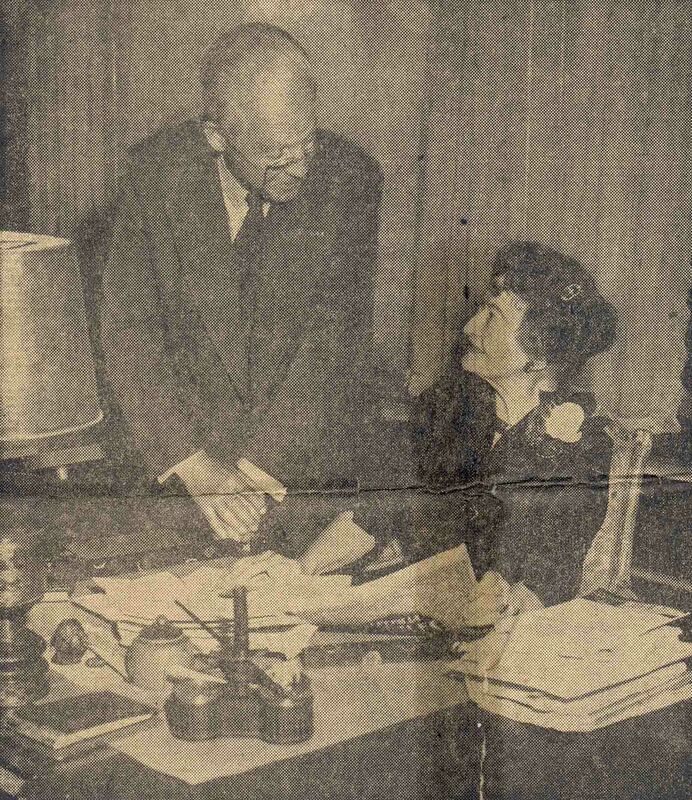 This “Founders Room Library” was staffed by a series of assistants and carefully overseen by Mildred Bliss from her desk in the alcove of the room. Predictably, the garden library quickly outgrew the room, and by the late 1950s, the Blisses made plans to offer Dumbarton Oaks an addition to house the collection. See also: Therese O’Malley, “Mildred Barnes Bliss’s Garden Library at Dumbarton Oaks,” in A Home of the Humanities: The Collecting and Patronage of Mildred and Robert Woods Bliss, edited by James N. Carder (Washington, D.C., 2010), 139–65.